In commissioning our three-man team to find the best at AXPONA, I expected there to be some overlap. While Chris Martens focused on personal audio, Eric Neff and I concentrated on the halls and floors of a large convention centre on the outskirts of Chicago, and with more than 150 exhibitors, the chances of everyone falling on the same brands was – I had hoped – remote. In fact, there was surprising consistency among show-goers. 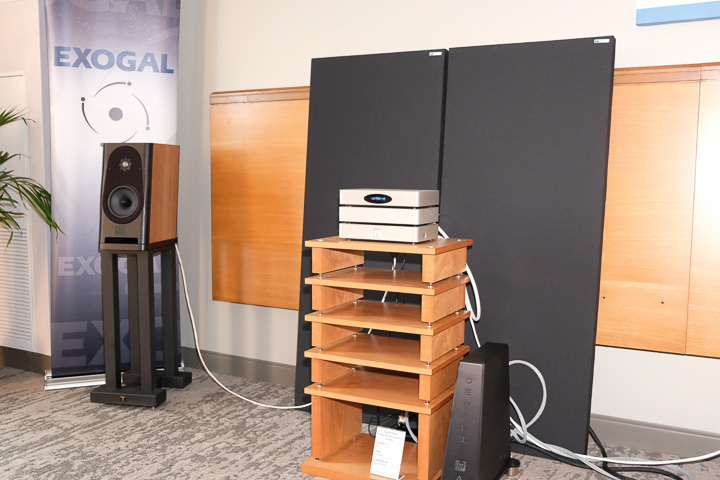 The new products from Audio Research, Gayle Saunders, and Magico were universally praised, and the sound of MBL, Sonner, Prism Sound, Vinnie Rossi, and YG rooms were liked by all. This would make for some very repetitive show reports that would repeat themselves repeatedly! So, my own take on the show took a very different direction and focused on the exciting products that my colleagues might have missed along the way. That is not to say these should be considered as ‘second fiddle’ products, or that in not discussing products like the Audio Research Reference 160 they are somehow diminished. What follows, however, are my top choices for the ‘watch this space’ products that will come to sit on the shelves of the best dressed audio systems of tomorrow. 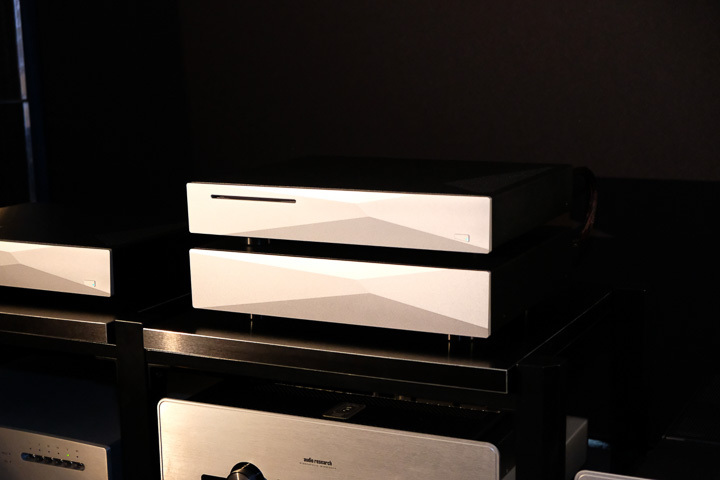 Aesthetix evergreen Calyspo line stage and Atlas power amplifier remain extremely popular, but the move toward downshifting and one-box amplifier systems has even reached the high end. 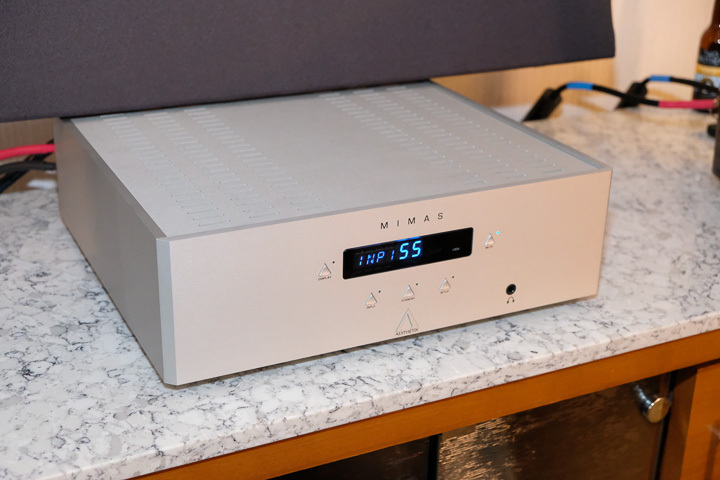 The new $7,000 Mimas integrated hybrid amplifier from Aesthetix combines the Calypso and Atlas into one box, with a five-input (balanced and single-ended) preamplifier stage with a discrete switch-resistor volume control, custom-wound transformer power supplies, a ¼” headphone jack, and a 150W per channel power amp with tube gain stage and bipolar output. The zero feedback design can be upgraded with an optional phono stage, DAC, upgraded headphone amp, backlit remote, and even a high-pass crossover for active systems. 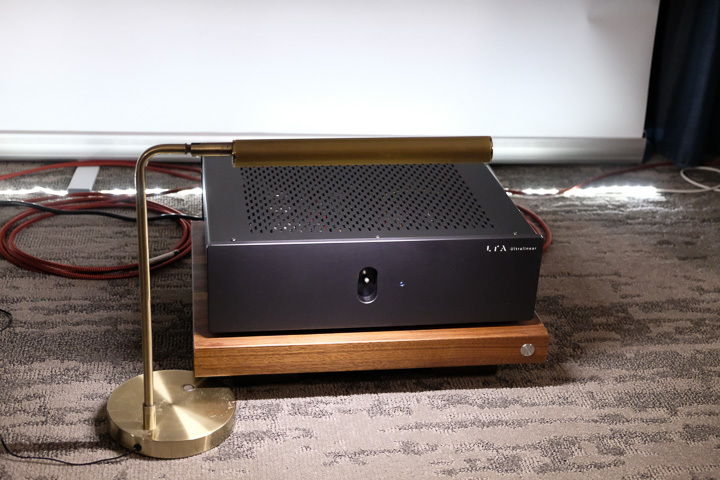 The Japanese amplifier (and cartridge) expert Air Tight has shown early prototypes of its flagship ATE-3011 phono stage before, but never one quite so near completion as at this year’s AXPONA. The infinitely flexible equaliser uses five different curves for both Turnover, and Rolloff, allowing the listener to run through almost every EQ curve ever designed for 33, 45, and even 78rpm disc, as well as custom options. The three input ATE-3011 uses a system of pipes to channel signals without the ingress of vibration. The ATE-3011 will be available from the end of the year, and the ‘Reference Class’ price is still to be determined. The German high-end brand does not add to its product range regularly, but when it does, it's worth the wait. 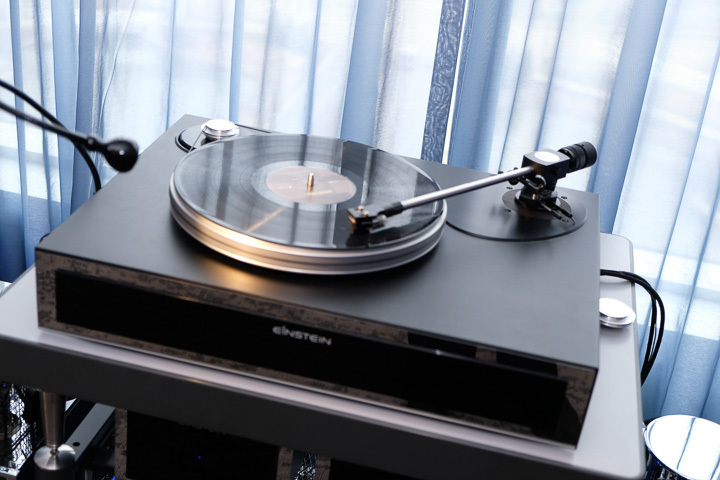 AXPONA this year saw the a sense of completeness to the line, thanks to the new $12,000 The Record Player. Not simply a platform for the company’s arm and cartridge, The Record Player is a complete belt-driven reference platform for vinyl replay, using the company’s powerful reputation for engineering excellence. Everything right down to a water-cut bamboo subchassis to a clutch mechanism to ensure belt precision even at start-up, was taken into account! 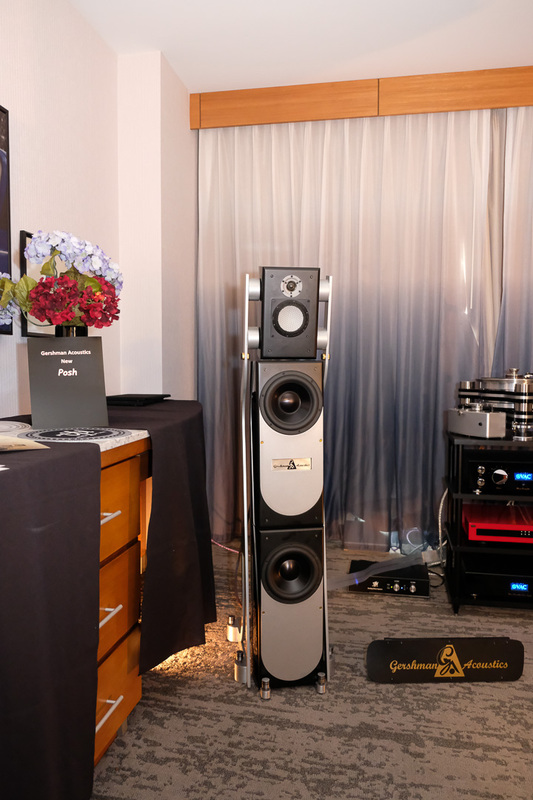 Gershman’s latest loudspeaker and its current flagship is called ‘Posh’. While it bears few similarities to Victoria Beckham, this Canadian separate box tower is built from inch-thick HDF cabinets, with ¼” thick stainless-steel panels for reinforcement. This builds upon the design brief from the company’s Black Swans model, and features a Morel dome tweeter, an Accuton midrange, and two of Gershman’s own 8” aluminium alloy bass drivers. All for a cool $129,000 per pair! Having just reset what is possible from digital audio in its limited ZENith Mk II Special Edition model, the company raised the bar a lot further with the upcoming ZENith Statement (price to be confirmed). A dual case system (with disc ripping, conversion, power supply regulation, and storage in one section, the AC-DC conversion in the other), the Statement features a wholly new USB board, custom OCXO clocks, eight fully independent power supplies, and a motherboard created entirely from scratch (no ‘retasked PC’ here). Played through Audio Research and YG, and compared to the SE, the Statement shows just how much can be had from streamed audio. Linear Tube Audio is continuing to leverage the technology developed by David Berning in its increasing range of amplifiers. Having started with headphone amplifiers, the company now has four models in the line, the latest of which is the ZOTL Ultralinear. 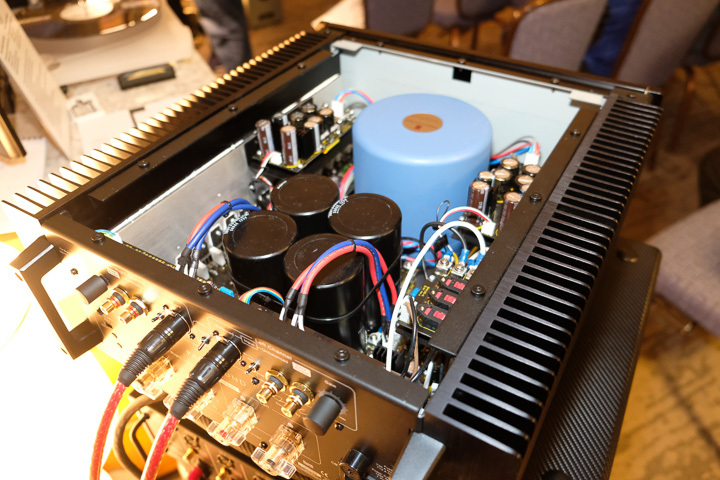 This $6,800 flagship stereo amplifier for the brand is based on the 17JN6 tube and – as the name suggests – is the first ultralinear amplifier design without a traditional output transformer. The amplifier is said to deliver somewhere between 15-20W per channel. Bringing high-end performance to more attainable levels, Parasound has extended its range of John Curl designed amplifier electronics with the addition of the £5,995 Halo JC 5 stereo power amplifier. Designed to squeeze as much of the prized Halo JC 1 mono power amplifier into a single chassis, this hefty solid-state design will pump out a healthy 400W into an eight ohm load, with the first 12W of that in pure Class A and a peak current of a mighty 90A. The JFET input/MOSFET output design is powered by a 1.7kVA shielded toroidal transformer. Given the success of the JC 1 (which has been at the top of the amplifier charts for the last 15 years), expect much from this amplifier when it is launched in June. The UK often lays claim to ‘owning’ the standmount loudspeaker market, but it hasn’t reckoned with the $4,000 Ryan Speakers S610. The products from the Ryan brothers of California are well known in West Coast audiophile circles but are not available in the UK yet. Which is a bit of a shame, because this front-ported two-way design is ideal for European listeners and delivered a fine performance, when coupled to an Exogal server, DAC, and amplifier combination, fed by a Shunyata Denali and cables. 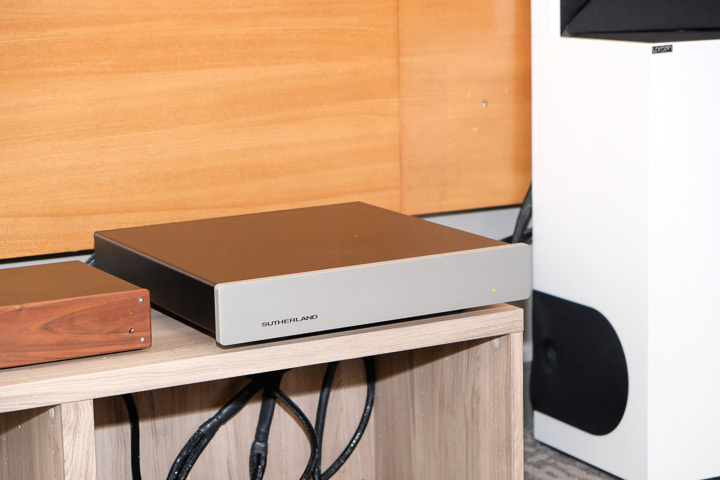 Ron Sutherland’s new Loco phono stage (expected to cost around $8,800) is so named because it makes some bold – some might say ‘loopy’ – design decisions in order to create a high-performance phono stage. For example, it only supports XLR phono inputs and outputs, and – being a transimpedance design has both no loading options and – because it has a current input and voltage output, can only express its gain in terms of ohms, rather than decibels. It all makes sense in the listening! 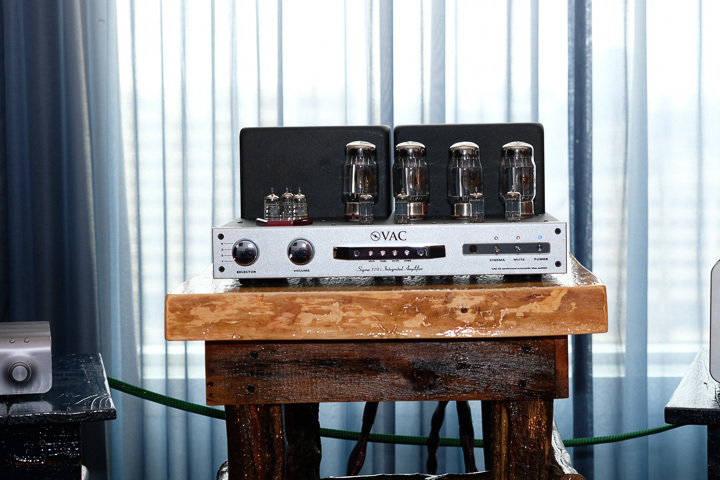 VAC is best known for its high-end preamps and power amps, but it also has a small and well-regarded range of integrated amplifiers. The new $10,000 Sigma 170i iQ represents the lowest cost VAC amplifier to date but includes the company’s continuous automatic bias system and can deliver a healthy 85W per channel from its quartet of KT88 power tubes. 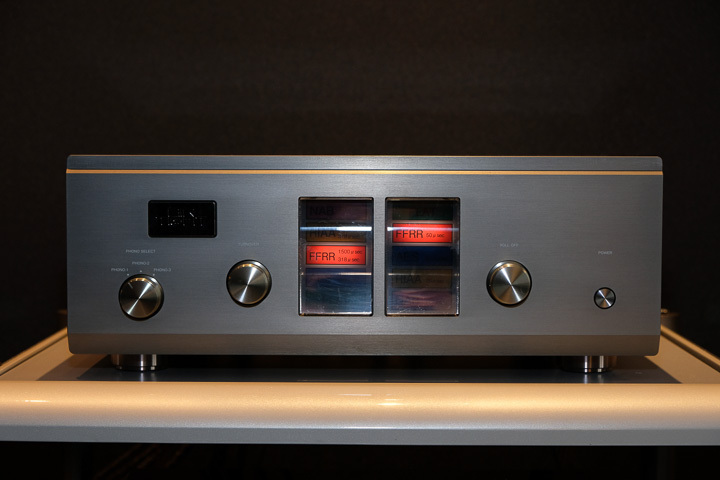 The line-only integrated amp can also be supplied with an optional phono stage.